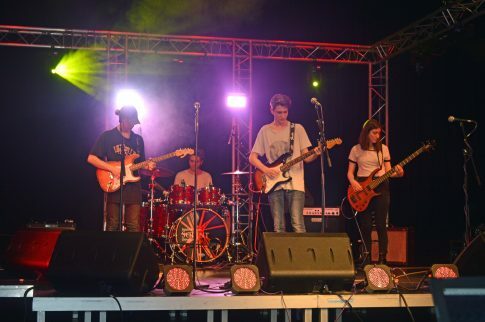 Four rock-loving students from Brockenhurst College were finalists in a Battle of the Bands competition during a music festival at Southampton Solent University last month. The band, known as Resubs, battled it out against seven other groups from local colleges in front of a live audience and judging panel. Industry professionals joined Solent University’s Music lecturers to judge the entries on all aspects of their performances. 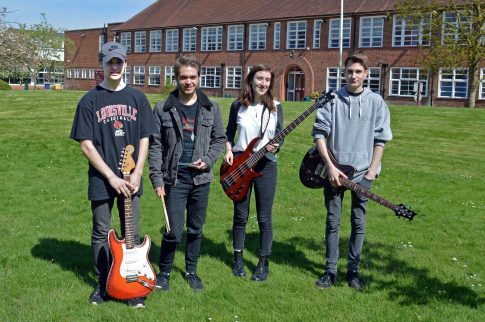 Caleb Ingram, Ellie Chapman, Matthew Clark and Tom Reynolds, who study the Music Level 3 Extended Diploma, performed songs by Dire Straits, Rush and The Eagles. Beforehand, the students received in-college mentoring sessions from Solent University staff to refine their ideas and techniques. Brett Nevill, who teaches the students at Brock, said: “I’m really proud of the students… They were slightly nervous but when they got up on stage they were absolutely brilliant and received some really good feedback from the judging panel. “It was a real confidence booster for them and a chance to gain valuable experience in music performance,” he added.